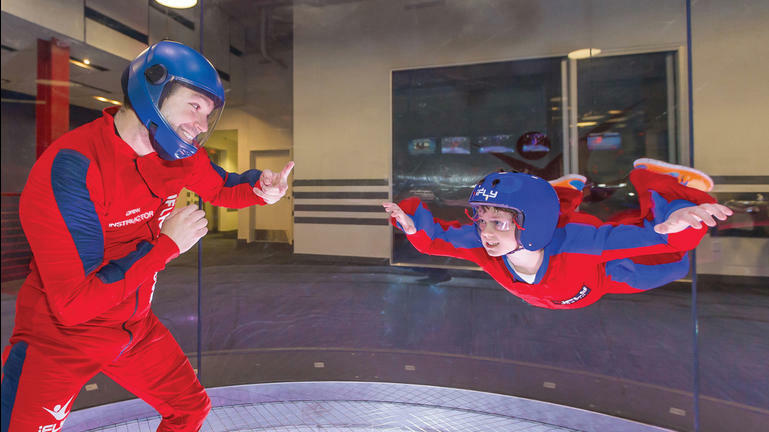 At iFly Indoor Skydiving, participants fly on a cushion of air generated by giant fans. The city is reviewing permits for site work and construction of the foundation and building on 1.14 acres at 10579 Brightman Blvd., south of Topgolf, according to our Daily Record news partner. ARCO/Murray Construction Co. of Tampa is the contractor. Plans show the 5,000-square-foot enclosed building will rise 59 feet and 6 inches that make way for the fans and tunnel that allow patrons to simulate skydiving. Sky Entertainment paid $738,644 for the site, which is next to a proposed Holiday Inn Express & Suites, on Jan. 10. Construction costs and the land purchase total almost $9 million. Managing Partner Chester Schwartz said in July he estimated the development cost at $10 million to $12 million. Sky Entertainment LLC of St. Augustine will develop the project. The architect is GMA Architects Inc. of St. Louis. It developed technology that creates a wall-to-wall air cushion generated by giant fans in a flight chamber. Schwartz said in July that the Jacksonville iFly should open about October 2018. The iflyworld.com site shows 29 locations in 14 states. Three operate in Florida in Fort Lauderdale, Orlando and Tampa. It also operates internationally. You can read a longer version of this story on the Daily Record’s website. A Topgolf entertainment facility opened Thursday near the St. Johns Town Center. Topgolf features a multi-level, high-tech driving range meant not only to appeal to avid golfers, but also wants to have something for everyone, said marketing manager Alexa Wheat. The Jacksonville Topgolf venue features two full bars, a restaurant, live music, pool tables, an outside deck, gaming consoles and event rooms, Wheat said. “We’ve seen bachelor and bachelorette parties, corporate events, holiday parties, any event you could possibly dream up we have to offer,” she said. 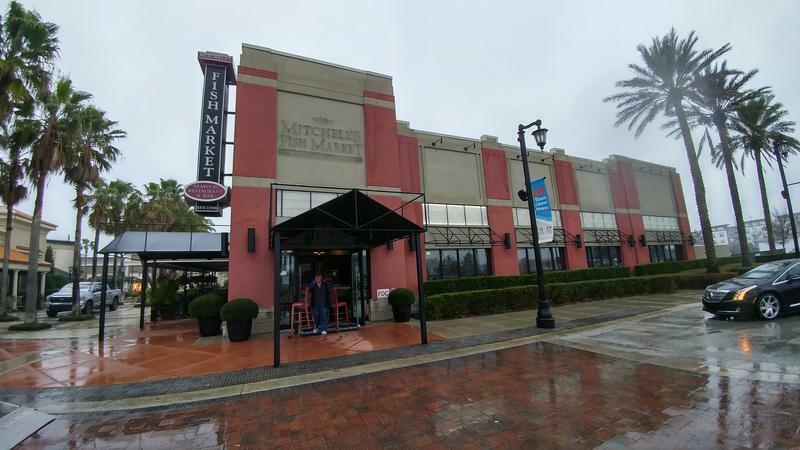 One of the original restaurant tenants in the second phase of the St. Johns Town Center has closed. 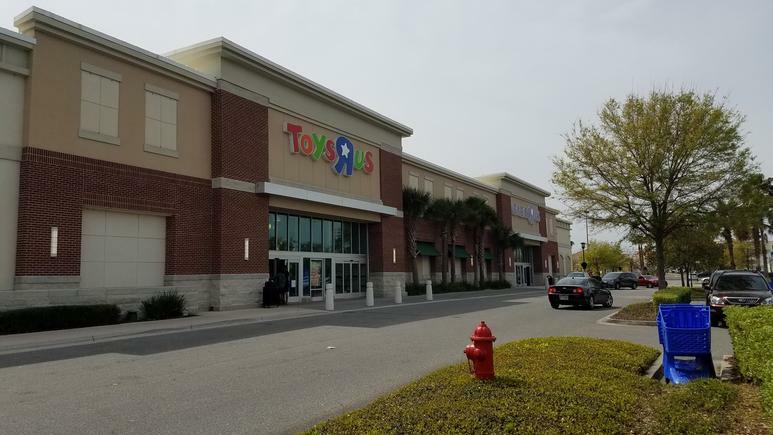 The closing of all Toys R Us and Babies R Us stores nationwide and four local Southeastern Grocers locations due to bankruptcy reorganization will mean more available retail space in the Jacksonville area.